Still a family business through and through, our trusted and experienced team members make up our extended family. Wherever we are; every day we work together to bring our ideas and inspiration to the melting pot. Although not too large we have a wealth of diverse knowledge and skill sets to offer our clients a professional, but warm and friendly service. 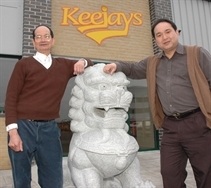 Sammy originally founded Keejays with his father, Mr Kee Wah Lee in 1985. Very much involved in the day to day interaction with all members of the extended family attending to the many aspects of running a corporate business with family values. A self confessed foodie, which helps with his job, he has spent many years investing as a customer in eateries all over the world. His taste buds have experienced a wealth of flavours from wasps served in the inner depths of China to the fine cooking of the top chefs of the world. 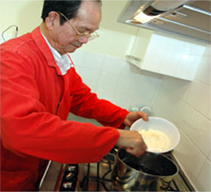 Sammy's younger brother, Ming, joined the business in 1990 after training as an electrical engineer, to work alongside his father to expand his development skills in the fine art of sauce making. Utilising his knowledge as an electrical engineer, Ming also oversees the many systems being mechanical, hydraulic and electrical within the factory to ensure the smooth running of our production. Ming rather likes to indulge in all things chocolate and has a passion for the finer coffee beverages, not unique there we hear you say. However, from time to time we do have to reign him in with his experimentation with unusual ingredients behind the scenes. Having joined the family, Amanda, is now following her life-long passion for all things food, bringing to the family business her fined tuned senses of taste and smell to the great benefit of the products that Keejays produce. She also looks after the essential areas of marketing, pr, financial and the administration aspects of the business to ensure the smooth running of the commercial side of the Company. Our very own multi-talented genius, aka, Amunda Einstein. She has come up with solutions that would be the Eureka Moments of the food industry and indeed the modern world. However her modesty prevents the rest of the world from knowing her contributions. For example, having had a late start in life to appreciate the convenience of microwaves, after a miss-hap or two, it did not take long for her to apply those talents, in a very short space of time her discovery of cooking poppadoms in a microwave, well ... stroke of genius, even after realising that this method is already used by many microwave "chefs" !! Another long serving member of the team with 10 years under his belt. As the business evolved serving retail and foodservice clients the factory required formal accreditation. Paul looks after our BRC and quality assurance systems maintaining our adherence to quality and technical standards. Dealing with technicalities and specifications all day long, Paul looks forward to pursuing his interests, he has told us he enjoys drawing and painting and motorcycling but not all at the same time. After a career as a chef Steve joined Keejays in 2003 contributing to the bottling line as his main role. As he gained experience and extended his knowledge he has progressed through the production departments and is now our Factory Manager. Another very important member of the team and we always hear "ask Steve". 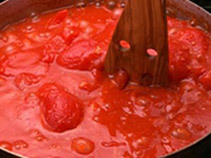 Steve has a fascination with all things Chilli and his knowledge and connections with this fiery subject have also helped in our development for the perfect chilli sauce. Thanks to Steve's enthusiasm and Chilli heat threshold he has saved many of our taste-buds from early morning chilli fiery torture.